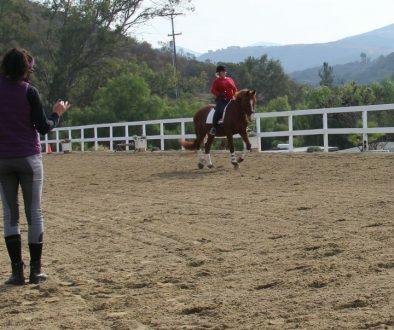 The seat of a rider must allow a horse to move freely forward but also demand a walk or halt transition on cue. Most of the time a rider who is weak moving a horse forward lacks strength in the hamstrings or back of thighs. A rider who is weak getting a horse to do a downward transition or half halt is weak in their quadriceps, front of thighs. The balance between having both attributes of strength in the seat requires training both muscle groups. Exercises needed to train the thighs controlls engagement without tilting backward or forward in the core. Leveraging is a sign of weakness and sometimes the rider doesn’t realize the compensations are happening. These are the top exercises for an elastic seat; both driving a horse forward and bring the horse back on to it’s hind end. The muscle engagement in this exercise is amazing for endurance of the engagement as well as the balance between right and left legs. The hamstring works primarily in the hamstring curl along with the glutes. The bridge is just holding the feet on top of the ball with hips held at the highest point. Both the bridge and the hammy curls will help develop the back of the seat to drive a horse more forward. 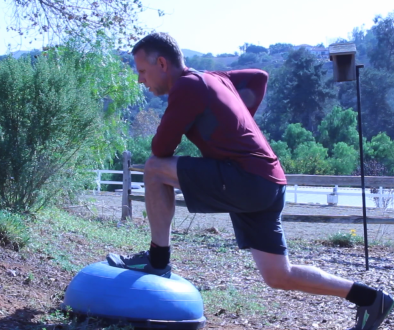 The more easily the athlete can roll the ball to and from the hips, the more elastic the legs will be for helping a horse to freely move forward. Do 12-15 curls with the stability ball or hold the bridge position for 60 seconds. This exercise isolates the quadricep more than a squat which helps engage the front of the thigh without moving seat. At a gym, machines help place more weight on the muscles. Building the threshold of difficulty of muscle engagement, similar to half halting on a moving horse. The idea is to gain precise strength in both legs that you can fire the quadricep without moving the feet. At first the muscle must learn to work hard in the full range of motion. You can do this at home sitting on a bench. I recommend to use ankle weights to place some extra difficulty. The quadricep is a large muscle group and will need the challenge of more weight to make any real changes to the endurance. Depending on the comfort of the athletes knees, either lunge backwards or forwards on to the top of a BOSU Ball (if available). The stationary pause while doing a bicep curl is a great training tool to help the thigh engage like a half halt. Dropping the thigh parallel to the ground, requires the quadricep to work. Holding it and waiting for the curl with both arms, develops muscle stamina in the thigh. 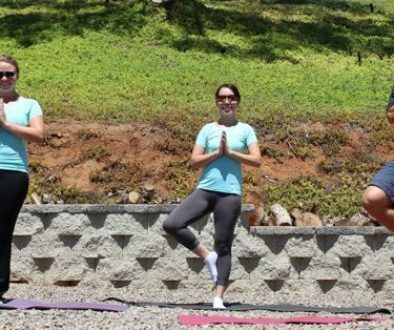 I recommend alternating the legs for more of a challenge in coordination which is very similar to actually using the thighs with the seat for real half halts or a downward transition.